While it’s true that the aging process certainly includes unwelcome changes and loss, imagine my curiosity to see an article entitled “Five Good Things About Aging” in a recent health publication. Here are five ways you may get better with age! 1. 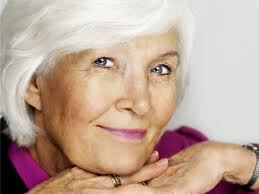 Negative emotions decline as we get older. People in their 70s and 80s report being less troubled by anger, stress and worry than people in any other age group.